Yes, children can do pairwork! Using basic English structures. Practice that doesn't seem like practice. 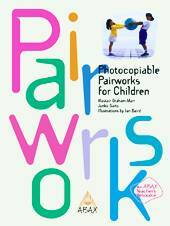 Yes, children can do pairwork! Practice in basic English structures. Is it a…? to What do you do? I'm a … . All visual cues. Additional extension activities and flashcards plus pairworks. All photocopiable. Get your children talking now! For teachers of children ages 6-11.